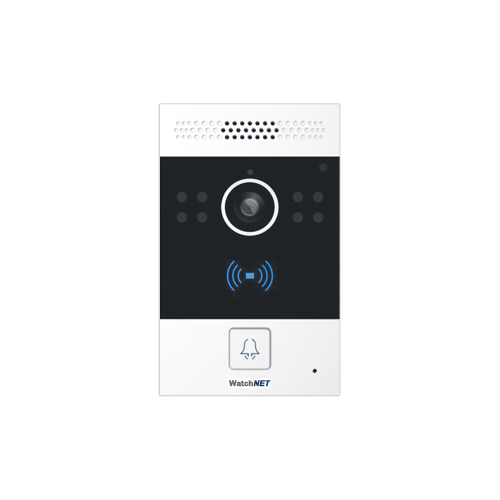 The WatchNET AVCDS1 is a single button IP/SIP Video Door Phone intercom. 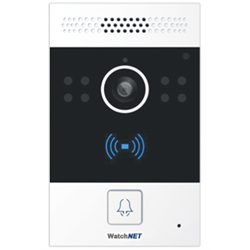 It can be used with WatchNET's SIP intercom family, or with EPBX or SIP telephone (SIP server required). Its commercial grade metal body is also vandal resistant. A G-sensor in the unit will trigger a tamper alarm when disturbed. It features a single call button and 2 output relays for door entry control. The built-in 2.1-megapixel camera comes with high-intensity white LED’s for lighting during dark hours with an internal light sensor. Camera feed can be viewed and recorded on any compatible ONVIF supported NVR. The Video Door Station can be powered either through a 12VDC power source or using a Power over Ethernet connection (PoE).